Dogs are perceived to be animals of companionship in most countries around the world. America alone had 69,926,000 dogs as companions in 2012, according to the American Veterinary Medical Association. * Early Britannic and Irish texts suggest that dog meat was consumed in the early Christian period). In America, articles on dog meat consumption date back to 1885 e.g. The New York Times, Patrons of Dog Meat. However, dog meat eating is now bereft in America or is only regularly consumed by a small minority. The Kickapoo tribe of Mexico for example, cook puppies for ceremonial feasts. Until the agricultural revolution (around 12,000 years ago), all humans were hunter-gatherers, deriving food from the earth as and when required, without the need to over-exploit. Animals were usually hunted by men, but a balanced relationship between man and animals was maintained. During the end of the last great Ice Age, there was a shift in lifestyle with the introduction of domestication. Necessary to this process was animal husbandry, which brought a variation of animal-human relationships including those with dogs. There has been great dispute in regards to where and why dogs were domesticated. Archaeological evidence indicates that dogs were domesticated 14,000 years or more ago. However, according to new research conducted by Pang & thirteen other researchers for Molecular Biology and Evolution, dogs were first domesticated in Southern China 16,300 years ago. Though controversy exists as to why this occurred, it is of wide knowledge that dogs have been consumed since ancient times in Asian countries. Pang therefore speculates that the reason dogs were originally domesticated in Southern China was for consumption. Interestingly though, tradition is not the only reason dog meat is consumed. 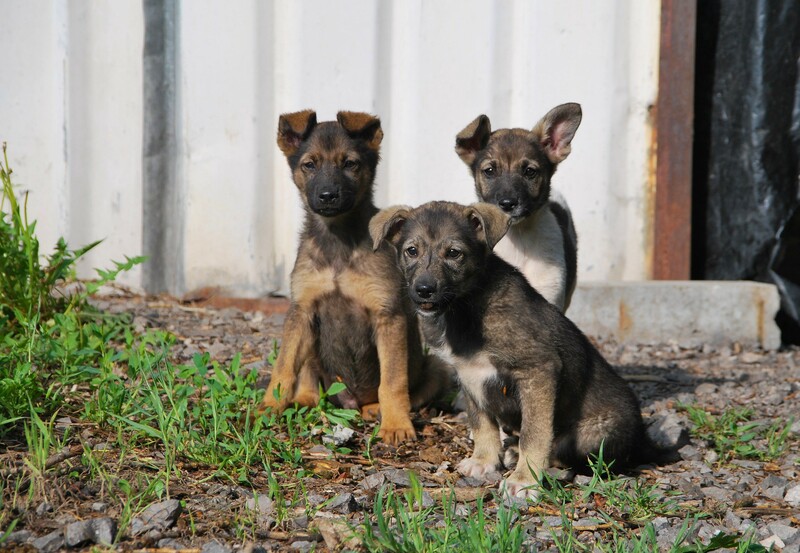 Unlike North Vietnam, central Vietnam does not have a long history of dog meat eating. However, since 1999 (where there were no more than a handful of hidden away dog meat restaurants), there has been a significant increase in the practice, and the streets are now full of dog meat restaurants. A study conducted by the University of Pittsburgh could not locate the cause of this increase in a single factor. However, some indicators were that dog meat is increasingly seen as an aphrodisiac for men and that it constitutes a class distinction making it a “modern” thing to do. Melanie Joy, a professor of psychology and sociology at the University of Massachusetts Boston argues that “meat is not a necessity and that all choices stem from a belief” (watch Joy’s talk here). This statement can be backed up by reviewing the variations of beliefs throughout the world and the choices made because of them. For example, Islam prohibits pork consumption (Surah Al-Baqarah [2:173], 2017), thus adherents do not consume pork products. Buddhist culture believes that everything has a living soul. However, they do not prohibit all meat consumption. They exclude certain meats from their diet such as dog, human, and elephant which are forbidden. This being said, some argue that committed Buddhists are vegetarian as the Buddhist ethical conduct outlines that a Buddhist is not to harm a sentient being. Those strictly following Hinduism also believe that everything has a living soul. However, unlike Buddhism, practising Hindus are vegetarians, as they believe that taking a soul will cause great suffering. In contrast, the Christian religion believes that animals are on earth to be used by humans. ‘In Asia, Confucianism remains a major religion and is considered to be a ‘way of life’. This culture originated in china around 497BC and is now practiced in South Korea, Vietnam and Japan. The principles of this ‘way of life’ are for man to be humane, virtuous, show integrity, and to set good examples within family relationships. It is a male orientated social system where women are confined to traditional roles. The religion was originally taught in the Tang Dynasty to the rich and successful and centres around education, politics, and knowledge. Confucius himself was a consumer of dog meat; the meat was therefore named ‘Confucians meat’. This, along with the religion being male orientated, explains why dog meat is mainly consumed by men. Furthermore, the Confucian culture requires male believers to be involved with politics, which therefore makes eating dog meat a meaningful political act in confucian culture. The variation in human-canine relationships is also reinforced by different legislation passed around the world. For example, in western countries, the ways in which we treat animals are governed by legislation (Pet Animals Act, 1951 (UK); Animal Welfare Act, 2006 (UK); Animal Welfare Act, 1966 (US)). These acts detail how our relationships with animals are to be managed, including the consequences for animal abuse. Most of Asia however, is yet to enforce such legislation. Despite the establishment of Animal Welfare Boards (which set out to develop and implement welfare policies), implementation of any animal welfare legislation that includes all animals is far from fruition. A lack of legislation, along with culture and religion, leads to major differences in perceptions as to how animals are viewed. With religion, politics, and culture playing a part in dog meat consumption, tradition is also a large factor. Some Chinese enjoy eating dog meat; however, they believe it brings about bad luck. They, therefore, consume it at the end of the lunar month, believing that everything starts fresh at the beginning of the new month. In contrast, some consume the meat to celebrate the longest day of the year in China. Villagers in Yulin independently hold the ‘Yulin Dog Meat and Lychee Festival’. It is believed that the festival began in the 1990s, which involves the slaughtering and consuming of around 10,000 dogs during the celebratory week. Those that consume dog meat, see it as ‘no different as eating chicken, beef or lamb.’ Due to the vast amount of criticism from Western countries, petitions and boycotting have taken place to end the festival. However, Westerners seem to be less motivated to take action in tackling the canine welfare issues in their own countries. For example, 61,101 dogs were used for research in 2015 in the United States (National Anti-Vivisection Society, 2017). These dogs experience pain on a daily basis and show signs of living in a constant state of fear. The dogs in Yulin are killed in front of the public in a variety of ways, which has caused outrage as the welfare of these animals is not taken into consideration. Whereas in Western countries such as the US and the UK, slaughter animals for meat in specific houses out of the public eye, where some of the worst forms of animal abuse are exhibited (BBC News, 2015). Although dog meat consumption is ingrained in the culture, the relationships in Asian countries do seem to be changing at a high rate, and polls suggest that there has been a 64% decrease. First, due to the increase in pet dogs and second, due to the increasingly bad reputation associated with the practice. It is evident that behaviours persist over time and they become a strong aspect of the society that people live in. The behaviours, perceptions, and relationships are somewhat a symbol of identity, which is shaped by culture and is what makes different cultures unique. With that in mind, who has the right to criticise cultures, religions or traditions? Dog meat consumption may be frowned upon in many Western countries. However, Kosher killing is acceptable and is not only accepted in those countries where the culture originated from, it has spread to Western countries too (Gov.uk, 2015). This involves killing by a slit to the throat of a live animal as the guidelines in the Old Testament permit it. It is an act determined by religion. To kill a dog in China by beating supposedly increases the aphrodisiac properties. What makes one wrong and one right? Both are determined by history and both inflict unnecessary pain on animals. Arguments will continue to rise as to what is right or wrong, with or without scientific backing. This will guide future traditions, relationships and perception. However, one can make the assumption that a ‘one size fits all’ approach will never be an option as cultures stem from beliefs and environmental adaptations. An online platform for thought-provoking, critical, and contextual articles on politics, society, and policy.